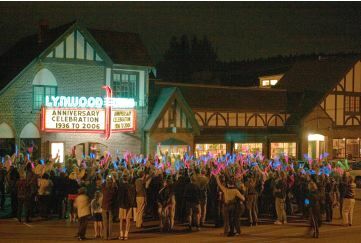 The historic Lynwood Theater on Bainbridge Island will show three screenings of Inlaws and Outlaws, on Friday, Saturday, and Sunday June 13-15, 2008. The screenings are co-sponsored by Cedars UU Church. Filmmaker Drew Emery will be in attendance at all three screenings and will be part of a Q&A after the film. Tickets are available at the box office, which is open a half-hour before the first screening of the day. "We are a liberal religious church and a Welcoming Congregation serving Bainbridge Island and North Kitsap County."